Those of you who have children know that the day your child is born is supposed to be one of the happiest days of your life. For me and for my husband, the joy we felt upon our daughter Hayden’s birth was quickly replaced with fear. The nurses immediately noticed that she was not crying - instead she was grunting. They also were worried about her belly which was extremely distended. The nurse tried to sound as calm as she possibly could when, minutes after Hayden being born, she told me they needed to take a look at her down in the nursery. I immediately knew something was wrong. Before we knew it, we were being told by doctors that Hayden needed to be rushed from Lakeside, where I delivered, to Baptist Hospital. Once she arrived she would be having surgery. They knew she had an intestinal blockage of some sort, they just didn’t know what kind. After much pleading with the Lakeside staff, I was released early and made it to Baptist just in time to see Hayden being wheeled to the operating room. I could not have felt more helpless. I will never forget the look on the surgeon's face when he came out to speak with us afterward. His expression instantly told me something wasn’t good. I went completely numb as he explained to us that what he found blocking Hayden’s intestines was meconium ileus. Not only had it destroyed eight inches of her colon that had to be removed, it was a sign of cystic fibrosis. Genetic testing needed to be done to receive the official diagnosis, but we were encouraged to start preparing ourselves for the diagnosis that would change our lives forever. I am not sure how many of you here today are familiar with CF and its symptoms. Ryan and I barely knew anything about the disease when Hayden was diagnosed. We found out that we were both carriers of the mutated CF gene. Therefore, we had a 1 in 4 chance of our pregnancy resulting in a CF child. 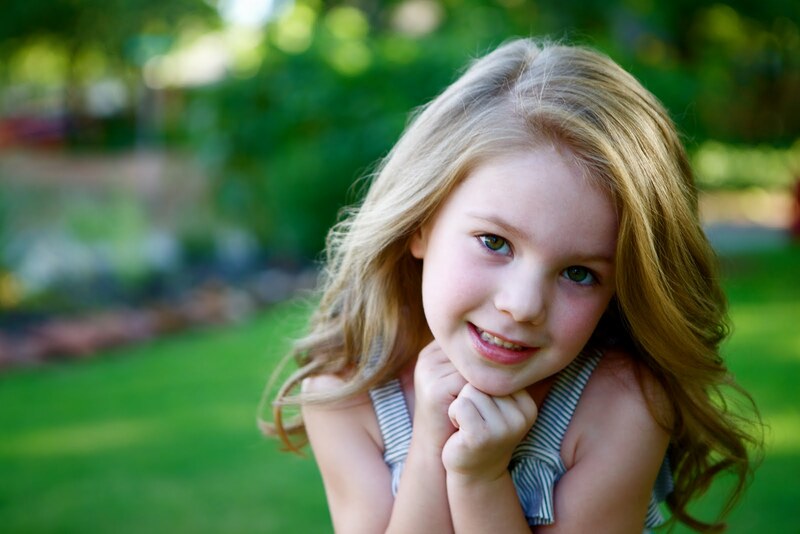 Statistics show that approximately 1 in 25 people are a CF carrier. CF causes the sodium chloride channel in the cell to malfunction. This results in a thick, sticky mucus throughout the body. The mucus builds up in the lungs causing infections, inflammation and blockages. Even “healthy” CFers lose lung function every year. Lung transplants are now being done but, without an anti-rejection drug, these are only sometimes successful. Of all the things the doctor first told us about CF, one thing stood out to me. 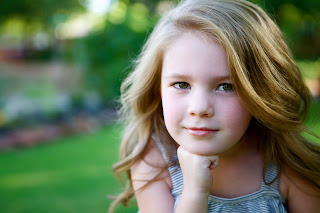 I remember it all being an overwhelming blur of information until he told me that my precious baby girl’s life expectancy was approximately 36 years of age. That’s where my mind came to a screeching halt and I felt every part of me say “no. absolutely not. 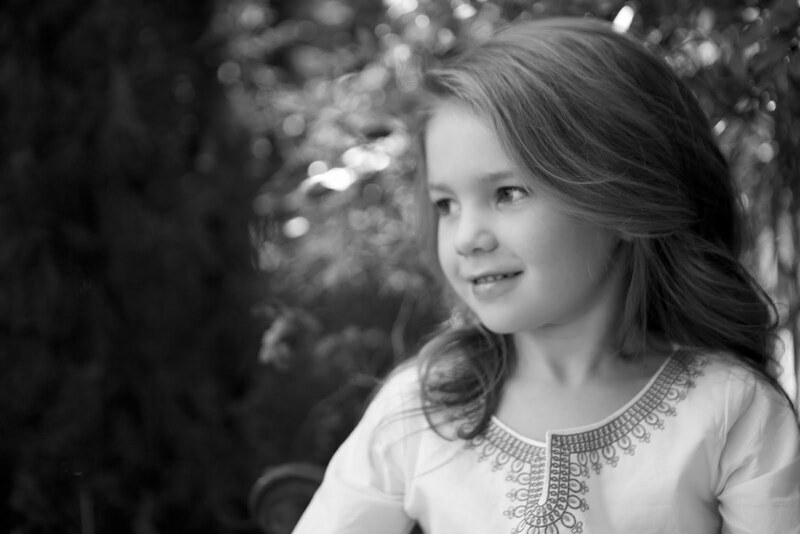 I refuse to sit back and let this disease take my daughter’s life. 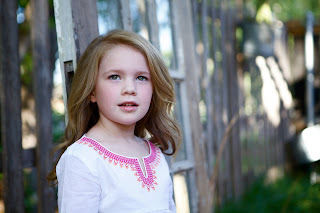 I refuse to let it rob her of all the life experiences that she deserves to have.” The day Hayden came home from the NICU at two weeks old, I called the Oklahoma City chapter of the Cystic Fibrosis Foundation. I introduced myself, told them about Hayden, and asked them to put me to work. 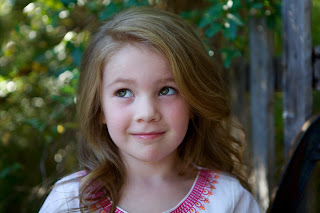 Hayden is now six years old and just started first grade. To say she keeps me on my toes would be an understatement! I would say that most days she is a step ahead of me with an energy and drive that I can barely keep up with! But that little girl, who has to endure hours of breathing treatments every day (and who swallows a minimum of 22 pills a day) has a strength that I don’t find in most adults. 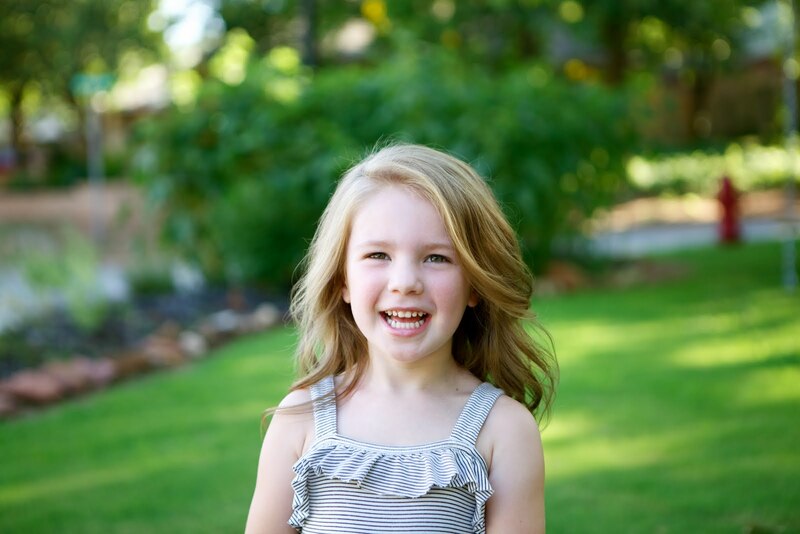 I’ll never forget a time when Hayden was only 3 years old and it was time for her annual bloodwork to be done. She was sitting in my lap when they put the needle into her arm. I immediately starting singing to try and comfort her… when I realized she wasn’t even crying. She simply looked up and me and “Mommy, I’m ok”. So I cried. I cried for two reasons: one, I was so proud of Hayden and the strength she already possessed at such a young age. But I was also crying because no three-year-old child should HAVE to be that strong. For years and years, I dreaded “the conversation”. The one where Hayden would figure out there was something different about her and want to know why. For years I played it all out in my head – how I would explain it to her in a way that was honest and real, but not confusing and scary. And then about six months ago, the questions began. Luckily for me, they came slowly and not all at once. Questions like “why do I take pills when none of my friends do” and “why do I have to do all of these treatments all the time?”. I explained to her that she has something called CF and that it makes her special because not many people have it. I have watched her process all we have talked about over these months and I have known more questions would be coming. The hard ones. The ones I don’t have the answers for. She asked me one just the other day. “Mom, when do I get to stop doing all my treatments and stop having throat swabs all the time? Will I ever get to stop?” My answer to that was “Sweetie, I really hope so. That’s something that mommy prays for all the time”. But there’s still one question I fear. I know it won’t come until Hayden is older and has really begun to process what a disease like cystic fibrosis means for her life. But it’s a question that countless CF parents have had to answer and it’s one that no child should have to ask…..”Mommy, am I going to die?” I’m sure every parent’s response to that has been a comforting “no, sweetie. We are going to beat this”. But I’m also sure that, even as they answered, they were desperately praying that it wasn’t a lie. This disease is ugly. We still lose lives to CF all the time. Even at our own events here in OKC, it breaks my heart to see a CFer accepting an award one year, and the following year their families are accepting the award in their memory. But the main thing I gained from that phone call I placed to the CF Foundation 6 years ago is that I got to hear the message of hope. I got to see firsthand the science that will save my daughter’s life. And it’s there! 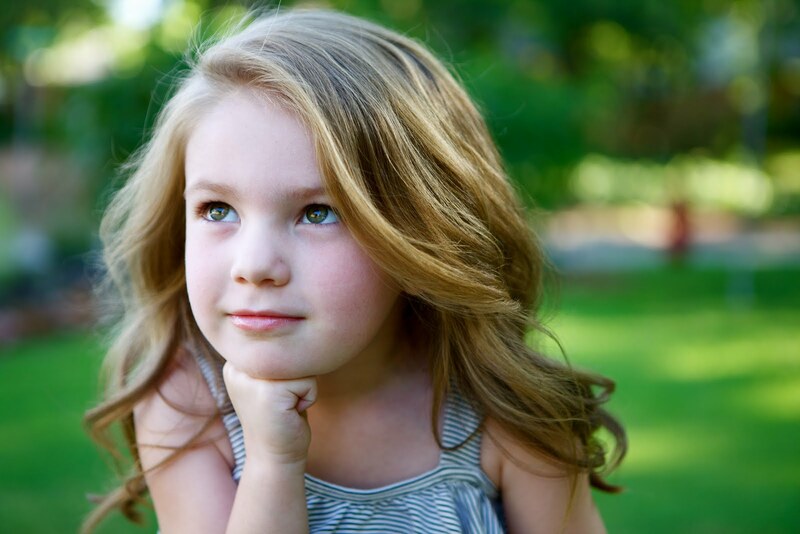 The CF Foundation isn’t searching for a needle in haystack to try and cure this disease. They found it years ago. What they need now is the money to fund the science. Just months ago, the FDA approved the first drug for CF that corrects the underlying defect rather than just help with the symptoms. Many of us in the CF community call it the “magic pill”. The patients on Kalydeco, as it’s called, have seen their pulmonary function rise dramatically and the hope for the future is that they will soon be able to stop all their other treatments indefinitely. While Kalydeco is only for CFers with a certain mutation, the next “magic pill” - the one that would treat Hayden and majority of others with CF - is already in Stage 3 clinical trials. There is so much hope for the futures of those with CF. Because of the donations to the CF Foundation and the science those donations are funding, I truly believe that Hayden will grow to have a long, happy life. I know they are going to someday make CF stand for “Cure Found”. And I believe Hayden will be here to see it happen. 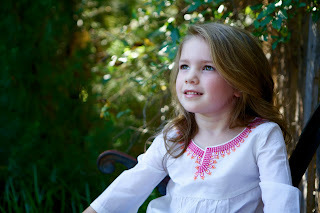 Honestly, I have no idea how we got here already.....to the place where my baby girl is five and getting ready to start kindergarten next year. I love every minute of being her momma and she makes me so proud each and every day. 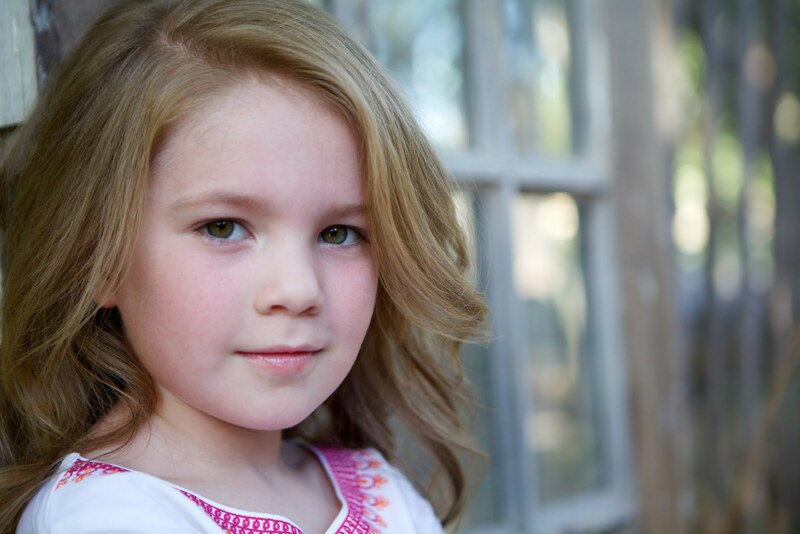 Here are Hayden's portraits for this year. I'm sorry but I have to say it....she's beautiful. I saw this idea on Pinterest and knew it was a perfect project for me and Hayden given the fact that she's a total ham who LOVES to pose! I bought the super-cheap chipboard letters at Hobby Lobby and had Hayden paint them aqua (I wanted her to be a big a part of this project as possible so she could be proud of herself when she saw the end result). Then we went outside and I snapped away while she did her thing. I bought a triple frame so these will be framed side-by-side to spell "DAD". I plan on sending it with him to work to be displayed in his office. He should love it! I made this for dinner tonight and was reminded just how yummy it is. I thought I'd share it with you! It's made in the crockpot and it super easy. My friend, Whitney, gave me the recipe for the Hayden's Heroes cookbook. Combine all ingredients but meatballs and stir until combined. Add meatballs and toss to coat. Cook on low in crockpot for 7-8 hours. Serve over white rice or mashed potatoes. My family prefers the potatoes. Also, I never actually use the full bag of meatballs. For my family of three (which includes a man that eats like a garbage disposal) I probably use about 1 1/2 lbs. of the meatballs. Basically I just keep dumping them in until it looks like I have enough. 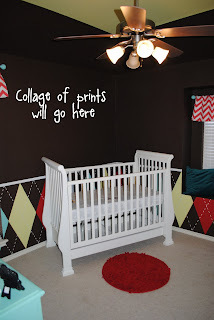 Well, the nursery is coming along nicely! It still has a long way to go (bedding, stuff for walls, more pillows, decorative stuff, etc.) but I've been working hard on it and I thought I'd show you the latest updates. Here are some new pics with some descriptions so you know what else I have planned. First of all, let me say that I totally realize that rug is much to small for that space. I found it at Hobby Lobby and it was on clearance for EIGHT DOLLARS so I reeeeaaalllllyy wanted it to work. Alas, it doesn't so it looks like I will have to order the original one I found HERE for $150.00. Boo. I'm horrible at remembering to take "before" photographs! I wish I had taken one of this dresser. It is a dresser from the '70s and the color brown was awful. The handles were brass. So I painted it the aqua and sprayed the handles red. I LOVE how it turned out. I ordered the polka dot changing pad cover to match the bedding and it should be here in a few days. I'm going to paint the small black picture frame I just don't know what color yet. 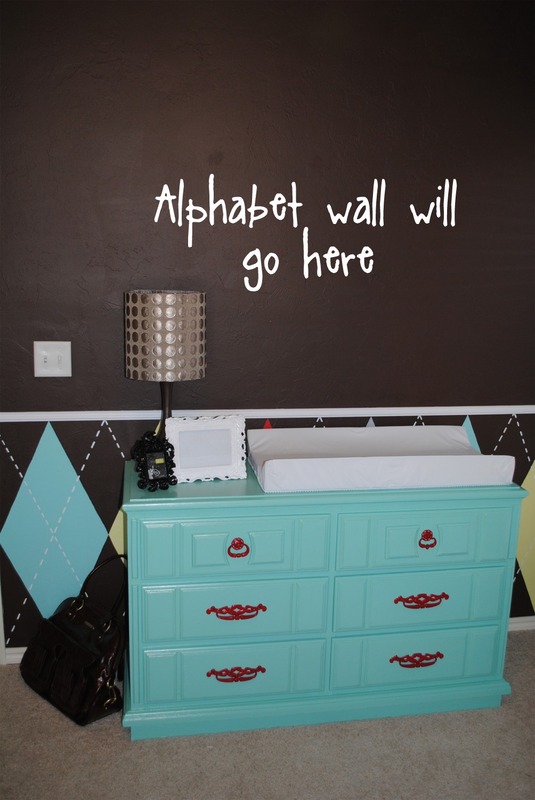 I also ordered the alphabet letters for this wall but they will take 5 to 8 weeks to come in. I can't wait to start painting, staining and covering them! Again, I totally should have taken a before pic of this lamp. It was suuupper cheap at Gordmans. I brought it home, sprayed the bottom a metallic brown color and covered the shade. The fabric has metallic leather circles on it and cost more than the lamp itself! 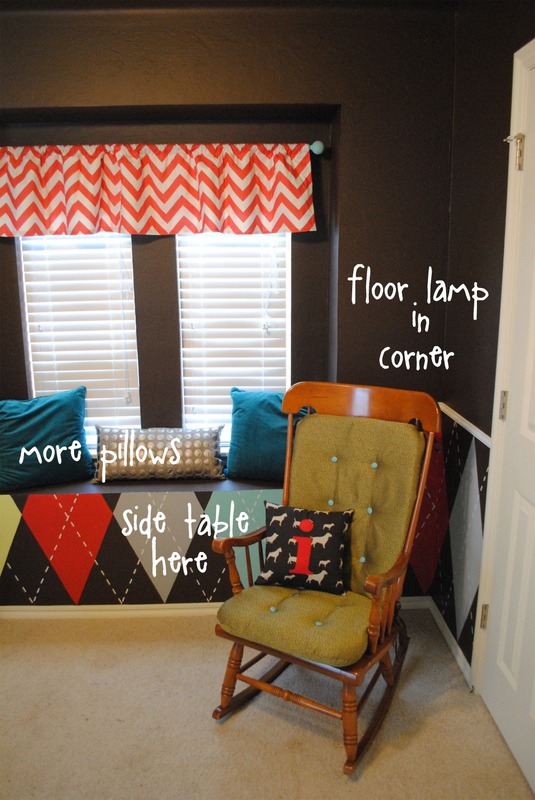 So, I got it into my head that I HAD to have red and white chevron fabric for the curtains. HAD. TO. Well, of course, I could find every other color of chevron fabric on the internet but absolutely no red. I finally stumbled upon a website called Spoonflower. It is the greatest thing ever! Designers (or you yourself if you want) can upload their designs to be printed onto fabric and sold. It is a wonderful place to find modern, geometric prints. 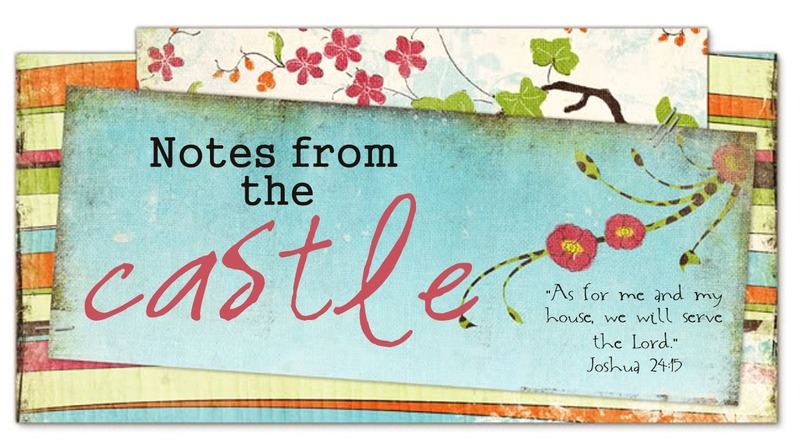 I read somewhere on the website that you can contact the designers and ask them to create something for you! I found a girl that already had a grey and white chevron and asked if she could put a design up for sale in red and white. She emailed me back the next with the proof for my approval! I told her I loved it and she let me know when it was officially available to for sale. You can order swatches, fat quarters, and different yard increments. I was so happy I found the website and I was thrilled with my fabric when it came in! I found some way cheap curtain rods at Ross and painted them the aqua color to help them pop. I did both windows the exact same way. You can't tell the color very well in the next pic, but the two larger pillows are a deep aqua velour from Pier 1. I made another pillow with the rest of the lampshade material. I'm going to order a pillow that matches the bedding to also go in the window. I'm still on the hunt for other small pillows to fill that space up. Once again, no before pic. This rocking chair is very special to me because it is the chair my Nana rocked me and my cousins in when we were babies. She just passed away in January and my Papa gave me the chair for the nursery. While the color wood isn't my favorite, I'm not touching it. I did, however, cover the cushions because they were a ratty, old, burgundy corduroy. I also made the little dog initial pillow for the chair. Here's a better pic of the chair fabric. It almost has an sheen to it in person. As you can see in the next pic, I still need to find a little side table to paint (going garage sale-ing this weekend) and I need the floor lamp for the corner. I ordered a cheap one from Walmart's website that has a plain white drum shade. I will spray the base the same as the other lamp but I'm not sure about the shade yet. Obviously, I still need the bedding. The collage of prints that I showed you in THIS post will go on the wall above the crib. You can see the bedding at that post, as well. Not sure about the other wall yet. I'm obsessed with the frames at The Organic Bloom and all the colors they come in, but I'm not sure if frames are what I want up againt another wall full of frames. Again, something else to figure out. So that's it for now!!! I hope you like the progress and updates! More to come! I love these face wipes. I've used all the different brands of wipes and I always come back to these. Face wipes are perfect for people like me. Read: LAZY. I'm that person that totally goes to bed with her makeup on if I've run out of my wipes. It's awful and I always pay for it later. These do a wonderful job of removing all my makeup and the smell is pleasant. It could be all in my head but, I really feel like these, combined with the next product, give my skin a really great texture. 2. Neutrogena Ultra-Sheer Dry Touch Sunblock I love everything about this sunblock. I love the smell and I love the feel. This is actually what I use as my everyday moisturizer. It soaks right in to the skin and doesn't leave behind any kind of greasy feel. I couldn't go without this product! Since the Insta-Dri polishes came out, I have been accumulating all the different colors. 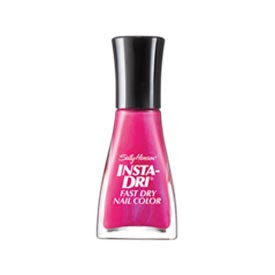 It does dry faster than any other polish I've ever tried but I also LOVE the brush! It's wide and flat with a curved tip that follows the line of your cuticle. It's wide enough I can usually get my pinkie nail in just one swipe! While I can't say that this is my absolute favorite mascara (that would be Trish McEvoy's High Volume Mascara) I CAN say that it is, without a doubt, my favorite drugstore brand. 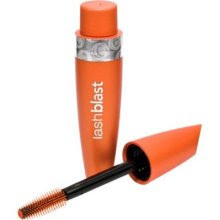 I try all the new mascaras when they first come out if they claim to creat volume and I always come back to Lash Blast. I'm that person you see at the drugstore opening the lid of every body wash, shampoo, deoderant, etc. to check out the smell. I'm a bit smell obsessed. 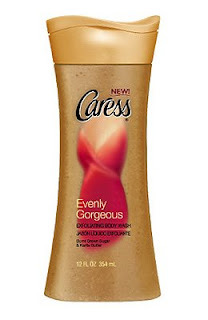 Smells are very personal so I can't promise you'll like it too, but I completely heart the smell of this body wash and I love that it is exfoliating like a body polish. I kill two birds with one stone that way. By now, probably everyone knows my obsession with this lipgloss. My personal favorite color is Sunset for everyday wear. 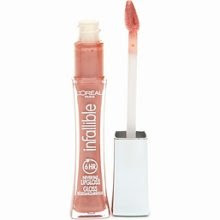 It glides on perfectly like a gloss and then sets into a kind of liquid lipstick that stays for hours. This is one of the few lip products that I buy back to back. 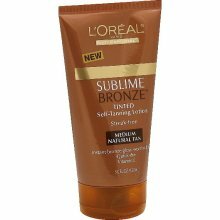 This is, by far, my favorite drugstore self-tanner. The bronze liquid is very easy to see when it goes on, ensuring even coverage, and the color can't be beat. 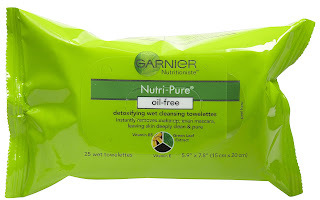 These don't burn the skin around my eyes and are very effective at removing eye makeup - much more so than liquid and a cotton ball, in my opinion. One tiny pad can remove all the makeup from both eyes. I don't recommend this for your "spot" concealer because typically something thicker is needed for those kinds of coverups but, for under your eyes, this concealer is perfect! 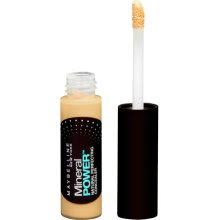 You want a thinner, lighter feeling concealer for that delicate tissue under your eyes. Heavy creams will tug on that skin as you apply them and, over time, that will create bags. 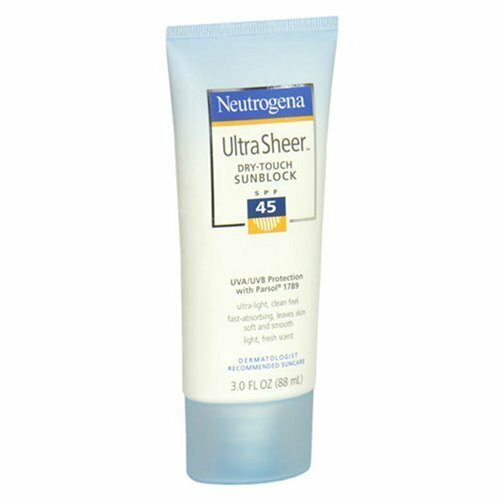 This one is gentle because it is liquid-like and it does a great job of covering under-eye circles. Ok, so this one is for the hubs - not me- but oh, how I love it! 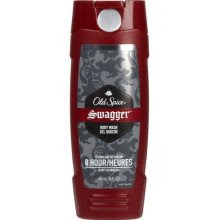 Every time Old Spice comes out with a new smell I have to check it out. This is my current favorite for Ryan. It makes the whole bathroom smell good when he takes a shower. I'd love to hear from you what some of your favorite drug store finds are!! 1. Cook rice according to package; add other ingredients except potato chips and place into a 8x8 baking dish. 2. Bake at 400 degrees for 30 minutes. 3. Add crushed potato chips to the top for the last 10 minutes of baking. My mom made this when I was growing up and it has always been one of my favorite casseroles. The potato chips on top might sound strange but it is soooo good!!! It's also quite dense so it will definitely get you and your family full! Now for some yummy cookies!!! I found this recipe in Country Living magazine a couple years ago and they are very, very tasty! 1. Preheat oven to 350 degrees. In a medium bowl, cream butter and sugar together until light and fluffy. Stir in eggs until well combined. 2. In a separate bowl, combine all dry ingredients, plus raisins, walnuts and chocolate chips. 3. Add dry mixture to wet mixture and stir to combine; stir in milk. 4. Drop dough in heaping tablespoonfuls, about 1 inch apart, on a baking sheet. 5. Bake until golden brown, about 15 minutes. I hope you family enjoys these recipes!! Mine sure does! This is what it is like to be a Smith!